Starry Dark Skies Campervan Experiences - Wanderlust Camper Co.
a break under the vibrant stars at a Dark Skies spot is for you! The UK has some of the largest areas of dark sky in Europe. It’s possible to see around 100 stars in your own back garden, subject to light conditions, however, how about immersing yourself in a dark sky with over 1,000 stars? ​ How about spotting the Milky Way – our very own galaxy – across the night sky? 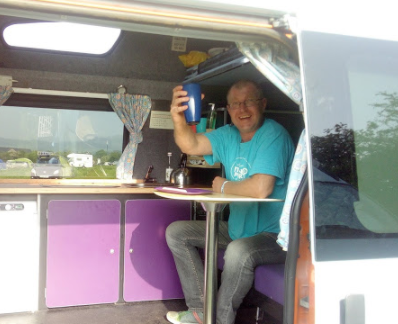 We suggest finding a perfect dark spot for one of our campervans for hire to pitch up at, making the perfect 'dark skies' break. The UK now has more certified international dark-sky places (DSP) than any other country outside the USA. The UK has three Dark-Sky Parks; Northumberland National Park, Elan Valley Estate (Wales) and Galloway Forest Park (Scotland) and a handful of Dark-Sky Reserves, including Brecon Beacons National Park, Exmoor National Park, Snowdonia National Park and the South Down National Park. With Wanderlust Camper Co’s HQ perfectly situated on the gateway to Wales, it’s only natural we’d focus on the amazing hot spots, well actually, dark spots for the perfect star gazing locations closest to HQ, which are situated in the beautiful countryside of Wales. Wales is lucky enough to have not one, but two Dark Sky Reserves. Here, we share tips for the best spots, perfect getaway campsites and hints and tips to get the best star gazing experience. If you’ve never seen the full brightness of the Milky Way, take a closer look at these suggestions, look at the map and get choosing the best spot for you. Choose from wild forests to national parks, grab your binoculars and your night vision for the 'night show' at a star gazer’s paradise! The Brecon Beacons National Park has been a Dark Sky reserve since 2013. There are a few hot spots, perfect for an evening of star gazing. How about the romantic setting of the ruins of Llanthony Priory, or the backdrop of Carreg Cennen Castle? Carreg Cennen Castle is in the village of Trap, four miles south of Llandeilo in Carmarthenshire, Wales. The castle is within the Brecon Beacons National Park, and its location has been described as spectacular, due to its position above a limestone precipice. Usk Reservoir, is situated to the western end of the park, sitting below the Black Mountain range, and most of the summits in the range are visible from the reservoir. The reservoir offers excellent star-gazing opportunity in truly a magical setting. Elan Valley is owned by Welsh Water and became the first privately owned dark sky park in 2015. There are several good spots to star-gaze here – the area around Cwmdauddwr Common – where the Northern Lights were seen in 2016, and the Graig Goch and Claerwen Dam car parks. Several lakes ('llyn' in Welsh) offer great star-gazing spots. ​ The following lakes are popular for a mix of fishing, picninickng and other activities, and have car parks: Llyn y Dywarchen is located above the village of Drws y Coed in Dyffryn Nantlle, near Rhyd Ddu, Llyn Geirionnydd is situated in the Gwydir Forest, above Betws y Coed and the Llynnau Cregennen lakes are found on the foot hills of Cader Idris. With two further great viewing spots – one within the Special Protected Are a of Migneint, Ty Cipar, a former game-keepers house and the mountain road pass of Bwlch y Groes. Bwlch y Groes is one of the highest tarmacked passes in Wales with unrivaled views of the Dyfi valled, Cader Idris and Aran Fawddwy with the Berwyn Mountains to the north-east. As the Garden is spread across 560 acres of countryside, it’s far away from light pollution. During school holidays, the Garden hosts astronomical events for children and the Swansea Astronomical Society has star gazing parties regularly here too. The borough of Rhondda Cynon Taf has no less than 8 dark sky sites and two of them are pubs. If you fancy a tipple with your star-gazing, head over to the Red Lion – a 12th century drover’s inn or the Rose and Crown, situated above Pontypridd – offering a panoramic view of the valley. Hints and tips for great star gazing! - View an hour and a half after sunset – when the sky is properly dark. Sunset times vary around the country and around the year– you can check local sunset-times (See: sunrisesunsetmap.com). - Moonlight can make it difficult to see the stars as the moonlight can produce too much of its own light. Use a moon calendar to see when the best time is, avoiding full moon, for example. See: sunrisesunsetmap.com). - Wrap up warm as it’s colder when the sky is clearer, without a layer of insulating cloud! - Grab a star chart – check out https://www.darkskydiscovery.org.uk/the_night_sky/index2012.html to show you where to start. - You can use just your naked eyes, however if you’re ready for the next step, a par of binoculars or a telescope would be perfect for viewing. A specialist shop can provide advice on what is most suitable for you. - Invest in a red torch if you want to use light to see which would not affect your night-time vision as much as a standard torch could do. A quiet, family site for camping and safari tent glamping on a farm by the Brecon Beacons, with a spa on site. 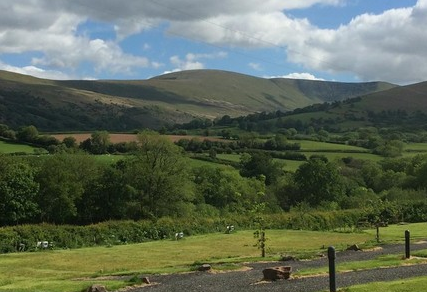 Set in the peace and quiet and gorgeous rural countryside in Mid Wales, Nr Brecon Beacons. Bryndu is a Traditional working farm set between the Brecon Beacons and Black Mountains. Family run, with a variety of accommodation, onsite Holistic & Beauty Salon and outdoor Hot Tub. Experience the flavour and feel of the countryside on a working farm, far from the hustle and bustle of urban lifestyles. 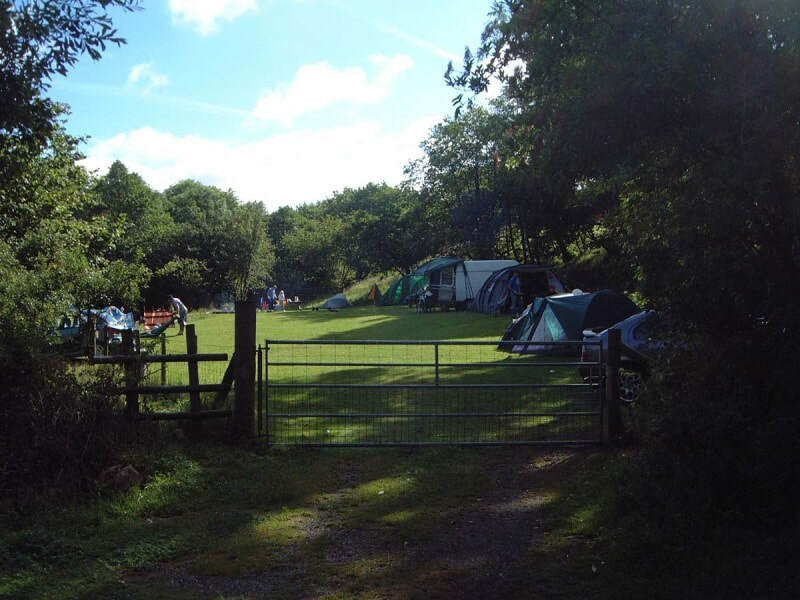 Located just outside the market town of Rhayader in Powys, the green heart of Wales, situated on the banks of the River Wye, this campsite is perfect for spending long afternoons enjoying walking, cycling and fishing. By night, look up and experience Elan Valley’s captivating starry skies – a designated International Dark Sky Park. It's worth noting that due to the site being within the International Dark Sky Park there are none of the usual lighting schemes therefore a torch is considered an essential. Please note that mobile and TV reception are poor – satellite is required - making this a perfect spot for a digital detox and enjoy the night sky! By day, see scores of red kites at Gigrin Farm, explore endless hiking and biking trails, or go horse trekking from Rhayader. Walk to Elan Valley to appreciate the spectacular scenery. Located in the heart of the Brecon Beacons, ideally situated for family and group camping with walking, cycling, canoeing, gorge walking and much more. There's an adventure Farm Park on site, too plus a riding centre! Brecon Beacons National Park became an International Dark Sky Reserve in 2012, the first in Wales and one of only 5 destinations in the world! On a clear night in the Brecon Beacons, you can see the Milky Way, major constellations, bright nebulas and even meteor showers. It’s enough to make anyone starry eyed. Cwmnanthir is a small, family run camp site on the western borders of the Brecon Beacons, based alongside the Nant Hir river adjacent to coppiced woodlands. Buzzards, herons, red kites and other wildlife complement free range poultry, sheep and waterfowl - perfect for a relaxed non commercial atmosphere to enjoy. The Brecon Beacons dark skies geopark is now the newest UK dark skies reserve. Being in its own secluded valley we are sheltered from light pollution. The site is an ideal base for walking holidays or short breaks with several dramatic waterfall walks close by. The Dan-yr-ogof show caves and Big Pit provide a good day out for families. Mountain bikers have the Taff trail, Afon Argoed park and the entire Brecon Beacons to explore. Enquire by clicking on an underlined date. Instant book if you choose to book now!